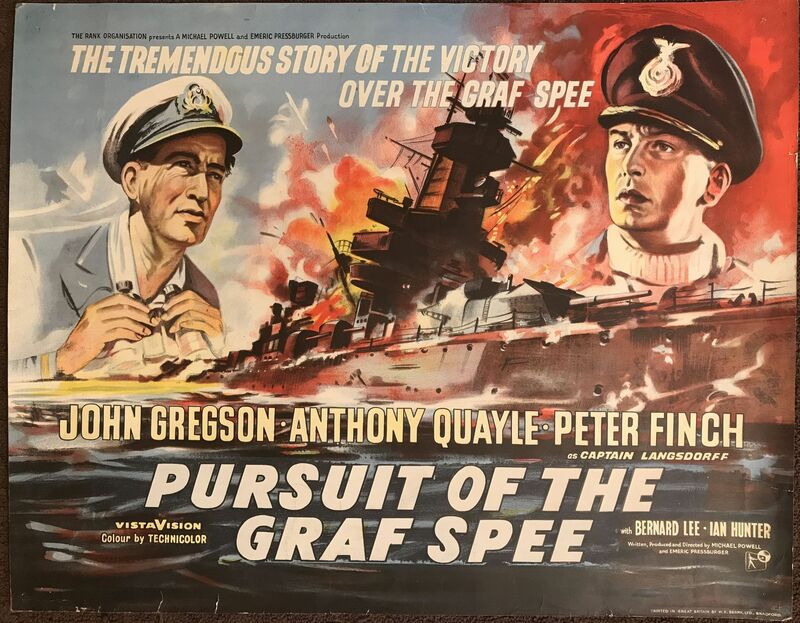 Pursuit of the Graf Spee aka Battle of the River Plate (Rank,1957) British Half Sheet 22"x28"
In the first major naval battle of World War II, the British Navy must find and destroy a powerful German warship. 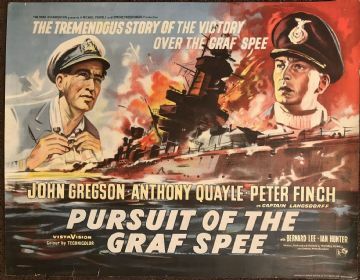 Stars John Gregson, Anthony Quayle and Peter Finch. Directed by Michael Powell and Emeric Pressburger. The poster has a small edge tear on the left side and some edge wear. It has never been folded, you could easily leave this as is and it will present beautifully when framed. Displays very well.